It is February already and Valentine's Day is less than a week away. February will always be the month of hearts, but more importantly for basketball fans, the second month of a new year signifies that the NBA All-Star Weekend is coming. The highlight of that weekend is the All-Star Game where superstars and celebrities mix and mingle. The starters for both teams were released already and the reserves followed a week after that. This gives me the opportunity to share my own picks for the 2016 All-Star Game. Notes: I know that Kobe Bryant will retire after this season, which is why fans voted him as a starter. However, if you evaluate his stats, number of missed games and factor in the win-loss record of the LA Lakers, Bryant should NOT be on the All-Star team. His inclusion on the team robbed other more deserving players of an opportunity to be on the All-Star team. Which other players should have been on the team? Damian Lillard of the Blazers has been amazing in leading his team who lost 4 of their 5 starters from last year. The Blazers are within striking range of the playoffs in large part because Dame is averaging 24 points, 7 assists and 4 rebounds. So, should the NBA leave Kobe off the All-Star team? Not necessarily. I think the NBA should explore expanding the ASG roster to 15 players which is the limit that each NBA team carries during the regular season. Adding 3 more players who are deserving All-Stars will prevent more and more snubs each season. If 3 more slots were added: Damian Lillard, Gordon Hayward and Marc Gasol would get the additional slots. 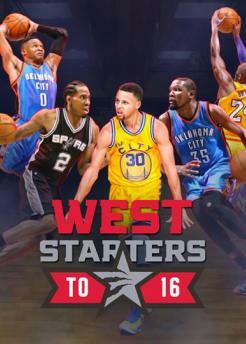 The NBA might be better served if they created a special "retirement tour" slot for the All-Star game. This spot will be created to honor the farewell tour of a popular and amazing ballplayer. This way, spots are not taken away from those deserving to be in the ASG due to their performance this season. When Tim Duncan decides to retire, he should be given the "retirement tour" slot. 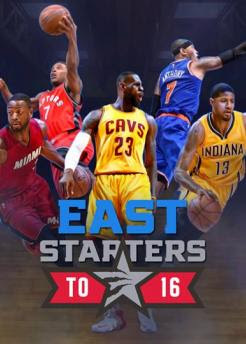 My All-Star selections for the East matched the roster for this year which the fans and coaches voted upon. The major differences can be found on who should start or not. Initially, the fans voted for Dwyane Wade to start (BTW, Wade fan over here) and I disagreed with that. I felt that Jimmy Butler should have received the starter spot over Wade because Butler continues to play better than Wade. Furthermore, "Jimmy Buckets" is a much better defender than Wade at the moment. I'm not saying that Wade should not be in the All-Star game. I merely felt that Butler should have been a starter while Wade should be on the reserve list. Aside from the Wade-Butler angle. I also hoped that Andre Drummond would start instead of Carmelo Anthony. Drummond's team is playing better than the Knicks and 'Dre continues to lead the NBA in double-doubles and rebounds. Anyway, Carmelo is somewhat hurting nowadays so there might be a slight chance that he skips playing in the All-Star game. If that's the case, a suitable replacement player that can fill his roster spot should be Pau Gasol. In addition, Butler might be a little gimpy from a knee sprain so he might skip the ASG too. Thus, a decent replacement should be Avery Bradley (playoff team) or Khris Middleton (non-playoff team). Moreover, if the NBA decides to increase the roster to 15 spots, the additional 3 spots for the East should go to Pau Gasol. Nik Vucevic and Kemba Walker, barring any injured player replacements. Lastly, I don't like the chosen coaches for both teams. Coach Lue of the Cavs just inherited the team after Coach Blatt got fired even if the Cavs were tops in the East at that time. Lue should not be coaching the East and Blatt cannot perform that duty. So, why not give the coaching duties to the 2nd placed team in East, Coach Dwane Casey of the Toronto Raptors?! BTW, the All-Star game will be held in Toronto, so I'm sure the fans would love that decision. As for Coach Pop handling the duties for the West, I think it would have been better if Luke Walton was given the chance to coach. Last I checked, Walton was not even credited any of the wins that the Warriors accumulated (a lot of them) when head coach Steve Kerr was unavailable. A decent consolation prize should be the chance to coach in the ASG.